This scrumptious Slow-Cooker Beef Stroganoff is the main attraction in an easy-to-prep dinner menu. The Roasted Beets and Carrots and Pomegranate-Quinoa Salad add color and bold flavors to this dinner menu. 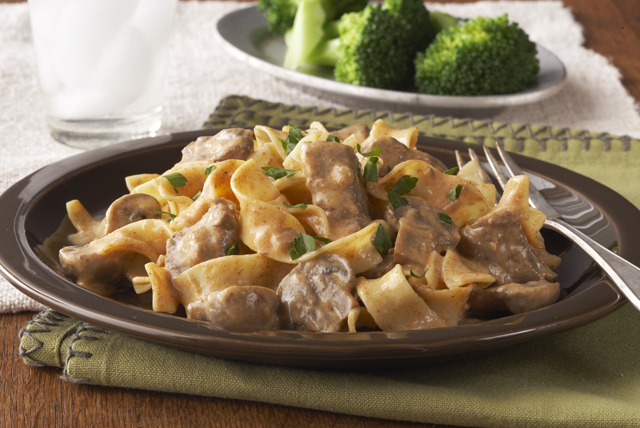 Beef stroganoff is as popular today as when it was invented, and with good reason. Beef, noodles and sour cream are always scrumptious. We love the easy prep in this slow-cooker recipe. We have quinoa recipes and we have spinach salad recipes. Now we have a recipe for quinoa and spinach together in a salad, topped with the always beautiful (and tasty) pomegranate. 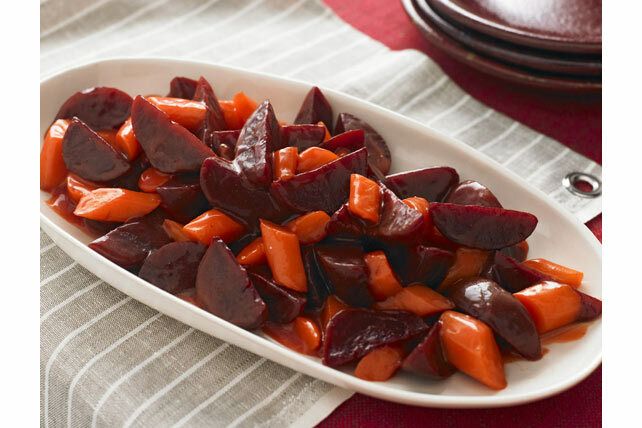 If you're a novice at roasting beets, relax—it's easy. Hint: Wear disposable gloves when peeling. When you roast the carrots, no gloves needed.